There's a section of Downey that I almost never go through. It's a little residential section that's north of the Santa Ana freeway (the I5). Most of the time I forget that it's even a part of Downey. So the other day I took a drive through its streets. 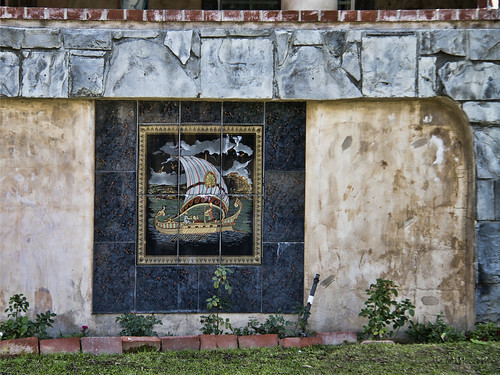 The beautiful tiled picture of an old Roman galley was the first thing I saw. It made me long for those idyllic days when we could laze around while someone else worked the oars and served the grapes.